The engineers from Columbia University have developed a new robot that has an opportunity to an image of itself from scratch or better to say can simulate self image. “While our robot’s ability to imagine itself is still crude compared to humans, we believe that this ability is on the path to machine self-awareness,” researcher Hod Lipson said. 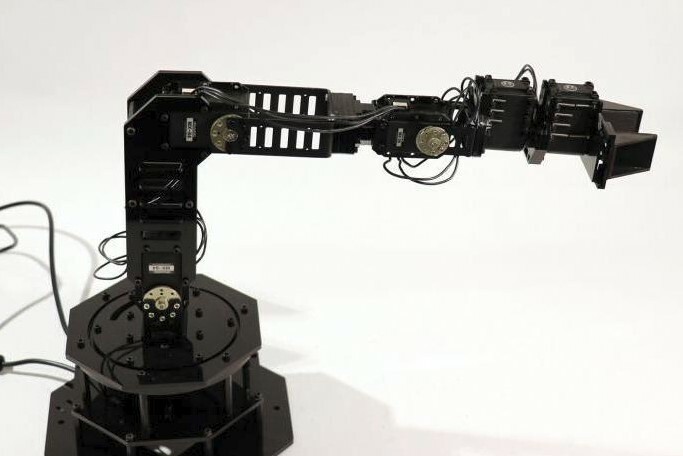 The robot can simulate self image to adapt to different kinds of tasks, and can also use its self-image to initiate internal repairs. “If we want robots to become independent, to adapt quickly to scenarios unforeseen by their creators, then it’s essential that they learn to simulate themselves,” Hod Lipson, professor of mechanical engineering at Columbia, said in a news release. Below you may watch the video! Firstly, the self image wasn’t exact enough for the robot to identify itself and understand how its joints are connected. But using algorithm, the robot perfected its self-model over the course of 35 hours. Finally, the robot can simulate a self image accurate to within an inch-and-a-half. “That’s like trying to pick up a glass of water with your eyes closed, a process difficult even for humans,” PhD student Robert Kwiatkowski said. “While our robot’s ability to imagine itself is still crude compared to humans, we believe that this ability is on the path to machine self-awareness,” Lipson said. Engineers described their development in a new paper published this week in the journal Science Robotics.